The Social Impact Organization Shares The Impact of Self-Love on Relationships and How Self-Love is the Foundation of Cultivating Loving Supportive Relationships. “Celebrities are speaking out more and more about having a strong foundation of self-love, so why not find out how to strengthen your own self-love in practical, simple, and fun ways!” encourages the Director of the Path of Self-Love School, Stacey Hoffer. A lack of self-love is at the root of every relationship challenge people face. As a culture, there is so much focus and pressure put on Valentine’s Day and romantic relationships, people forget that self-love is the foundation to having healthy relationships; and that the most important relationship is the one to have with ourselves. The Path of Self Love School, a social impact organization, that has served over 35,000 students on six continents, will celebrate its 12th International Day of Self Love on February 13th. It is offering everyone a chance to take a free self-love quiz and will sponsor the 2019 Self-Love Promise Challenge on Facebook and Instagram. A self-love promise is a tool to use in moments when doubt, fear, judgment, shame or blame are running the show. Just like a best friend would do— the Self Love Promise gives PERMISSION to choose a self-loving act over the self-sabotage, self-sacrifice, self-criticism, and self-doubt. The self-love quiz helps people discover where they are strong at loving themselves and where they are weak, and includes practical tools to help them strengthen their self-love. It will also help people identify areas where they want to nurture themselves and how to do it. The question “Do you love yourself?” is not a yes or no question. Most people love themselves in some ways pretty well, and in other ways pretty terrible. Taking this self-love quiz will allow people to uncover the areas of self-love that most need their attention and provides steps to take to strengthen that area. Once people get clear of where they are strong and weak in self-love, they will join thousands of others in making their 2019 self-love promise – and keeping it all year long! Participants will be guided on how to make a self-love promise by downloading their very own free self-love kit. After creating a 30-90 second video and sharing their self-love promise with their friends on social media, these self-love ambassadors can challenge their friends to do the same using the hashtag #selflovepromisechallenge. “Self-love isn't selfish or something you should run away from. It's smart. Ask Emma Watson, P!nk, Chrissy Metz, Amy Schumer, Lavern Cox, Beyoncé, Tyra Banks, Christina Aguilera, Demi Lovato, Rihanna or the K-pop band BTS. Celebrities are speaking out more and more about having a strong foundation of self-love, so why not find out how to strengthen your own self-love in practical, simple, and fun ways!” encourages the Director of the Path of Self-Love School, Stacey Hoffer. Self-love is simply love directed to the self. It is not the absence of giving or receiving love from another. Self-love is choosing to honor and respect yourself so deeply that you only have loving, respectful relationships. This means you choose to never settle for less than your heart and soul desire by choosing relationships that support you to thrive and be the best you possible. It also means having unwavering & unconditional love and respect for yourself that leads you to speak your truth and stay true to yourself in all situations and relationships. And the Path of Self Love School is taking a stand this year for healthy relationships. You make excuses for the behaviors of the people closest to you or you refrain from telling people the truth about what happens in your relationships. You feel obligated to stay and give more than you receive in relationships. You are settling – ignoring your dreams and the life you desire - in order to stay in a relationship. You are afraid of losing or disappointing this other person so you bargain with yourself and stay small. When you promise to only have loving, respectful relationships, then you choose to actively transform or let go of the relationships that are not loving or respectful. When you know what your heart and soul desire, then you cultivate relationships that support you to create that life and to be your best self. When you find yourself in a situation or relationship that is not honoring you, you speak up, stand up for yourself and take empowered action to change it. Whether someone has been on the journey to loving themselves for years or just starting to strengthen their self-love foundation, it’s important to remember that loving oneself is a choice to make (or don't) every day of the year. “Every relationship in our lives starts with how strong our inner foundation of self-love is or isn't. Yet most adults, and therefore our young adults and children, are not receiving the language, wisdom, and self-awareness to make strong relationship choices,” says the founder of the Path of Self-Love School, Christine Arylo. The Path of Self-Love School is a social impact organization that supports all beings to create strong inner foundations of courage, compassion, clarity, and confidence using the power of self-love. Founded by Christine Arylo, the school's classes, teacher trainings, and coaching programs have reached over 35,000 students on 6 continents. 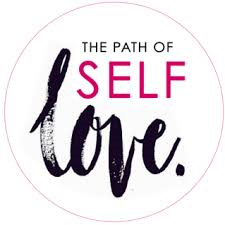 The Path of Self Love School is committed to making the practice, path and tools of self-love accessible to all people, so that within 3 generations all children are born connected to love and stay connected to love because they know how to source love from within. Want to strengthen your self-love and relationships this year?